Swap rates and Treasury yields continue to climb, completing reversal since FOMC policy statement. 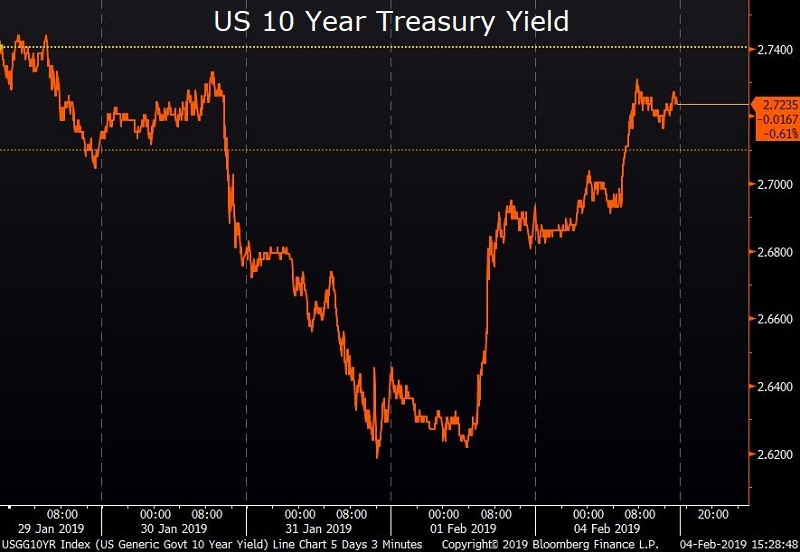 The ten year treasury note climbed back to 2.724% on low volume as markets await President Trump’s State of the Union address and Chairman Powell’s speech later this week. China’s markets were closed for the lunar new year, contributing to the low volume in Treasurys. “Fear Index” at lowest levels since early October. 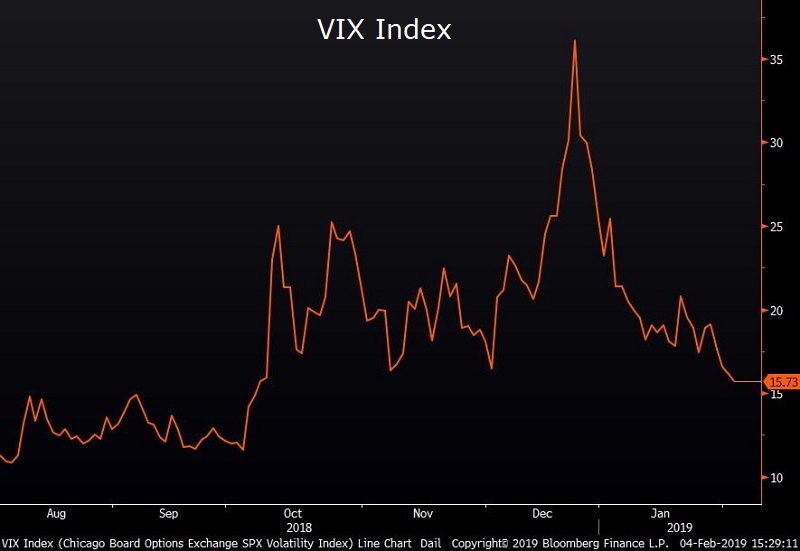 The VIX or “Fear Index” as its known has fallen to 15.73- the first time its fallen below 16 since last October. The reversal comes as the Fed shifted tone at its press conference last week, showing a willingness to listen to markets and creating what many perceive to be a “Powell Put” in the market- a reference to the Fed’s willingness to stabilize markets with accommodative monetary policy. S&P 500 up for fourth day in a row despite weak economic data. Both the S&P 500 (+0.68%) and the Dow Jones Industrial Average (+0.70%) closed higher on the day despite factory order data that fell well short of expectations. Equities were driven higher by strong earnings from the tech sector despite losses for healthcare stocks. Looking ahead, nearly 134 US companies will report earnings this week. The S&P 500 is up nearly 16% from its lows at the end of 2018, and will need strong earnings to continue to climb from here.